In 2016, the average American had never heard of a smart city. But even in those early days, there were pioneers who believed that data collected from connected devices could produce insights and efficiencies that could revolutionize how cities operate. Today those mavericks are being rewarded for their early vision. Three of those visionary organizations – Soofa, Miami-Dade County, and Ford – recently intertwined through the City of Tomorrow Challenge , a crowdsourcing platform created to “help prepare cities for the future by identifying new mobility designs and innovations that could improve the way people get around.” The City of Tomorrow Challenge brings together local residents, government officials and industry leaders to explore how new technology can present new solutions to old problems. This kind of cross-sector collaboration between industry giants like Ford, innovative startups like Soofa, and government entities like Miami-Dade County represent how creative ideas can result in real change on a local level. Soofa, one of the Challenge winners, has been active since the earliest days of the U.S’s smart city exploration. Launched out of MIT in 2014, they provide digital, solar-powered, wifi-enabled signage and street furniture (benches). Today they are present in more than 100 cities. Miami-Dade County was also an early believer. 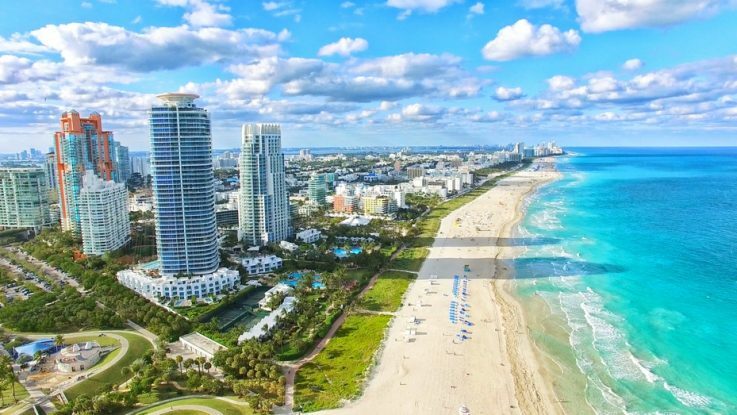 City officials including Miami Dade-County Mayor Carlos A. Giménez and Miami Beach Mayor Dan Gelber realized from the start that they had to work together, as well as with industry partners, to achieve the scale necessary to solve big problems. Today, their results validate their efforts. 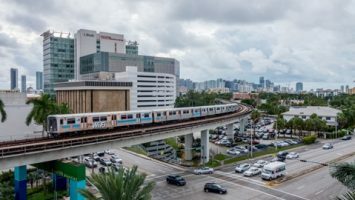 Currently Miami-Dade County is in the process of converting 3,000 traffic signals to enable adaptive signal control and Transit Signal Priority, a mobility evolution that few cities in the U.S. have been able to accomplish. 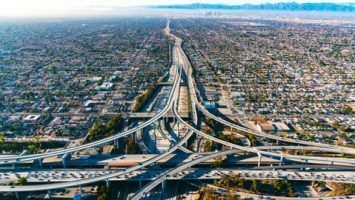 This is part of a larger effort to convert 26,400 streetlights to SMART LED, allowing a countywide Internet of Things (IoT) network, the largest in the U.S.
Ford is also a champion, helping to increase the understanding that “Smart mobility and smart cities are intrinsically linked”. 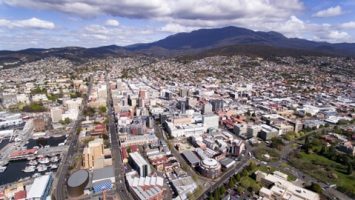 Many of the challenges that local municipalities face have transportation at their core. From traffic congestion to land usage to emergency response, using innovation to improve mobility has real impact on saving lives as well as time and financial resources. So what happens next? Thanks to sponsoring company, Ford and other industry partners, City of Tomorrow Challenge winners will receive $50,000 in funding. But even more importantly, these three entities are each demonstrating what it means to work collaboratively and invest in smart city solutions. For cities and companies that are just now entering the smart city space, it isn’t too late. Local and industry leaders would be wise to learn lessons from these early adopters to understand what works as well as what pitfalls to avoid. For more information on the semi-finalists and other proposals that were submitted, visit the City of Tomorrow Challenge website.